The N8 Research Partnership is proud to be among those sponsoring the 2019 Business of Science Conference, which is being held in Leeds for the first time this year. The event, which gathers businesses and individuals involved in the commercialisation of science, will take place on Thursday 16th May 2019 at Leeds Cloth Hall Court, welcoming keynote speakers such as chief executive of Leeds City Council, Tom Riordan, minister for Northern Powerhouse, Jake Berry MP and Pip Clode, concept team leader at Mercedes-AMG High Performance Powertrains. The Business of Science Conference has also launched a new award for 2019. The Innovation Award is open to individuals of all ages – from primary through secondary school and into later careers – giving the innovators of tomorrow the chance to submit their “science dreams”. N8 is sponsoring the 18+ category and winning entries will be showcased in front of industry-leaders at the conference and will receive recognition through PR, marketing and social media exposure. Annette Bramley, director of N8, said: “We’re very pleased to be one of the sponsors of the 2019 Awards at the Business of Science Conference and to be engaging in stimulating discussions on how academia and industry can collaborate to create greater engagement in science. Tom Riordan, chief executive of Leeds City Council, will open this year’s conference. Discussing what the event means to the city, he said: “Leeds has seen huge investment over the last few years, including welcoming Channel 4 and expanding our digital sector. Our strong innovation economy has proven key to the city’s success, so it’s the perfect time to host the Business of Science Conference and celebrate all that our city has to offer. More than £1.4 million of investment was made into the city last year, including for the launch of the Bragg Centre, which will see the University of Leeds work closely with leading scientists to develop new and innovative solutions for real-world materials challenges. The university has also secured 150 fully-funded PhD research placements to train the next generation of scientists and engineers. Delegates can expect a combination of panel discussions, breakout sessions and interactive sessions at this years’ conference. 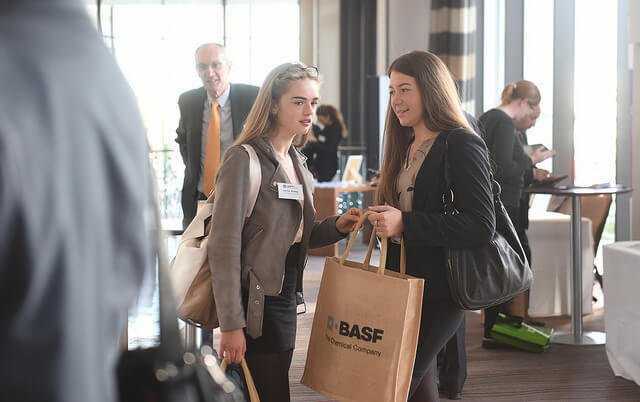 With the overarching theme of the commercialisation of science, speakers will cover topics such as the business of space, emerging technologies, Brexit and diversity in STEM. Additionally, the Business of Science Leadership and Special Recognition Awards are returning for 2019, acknowledging individuals demonstrating outstanding business contributions in science and innovation. The awards will be presented at the pre-conference dinner at the Hilton Doubletree Hotel in Leeds city centre on Wednesday 15th May.